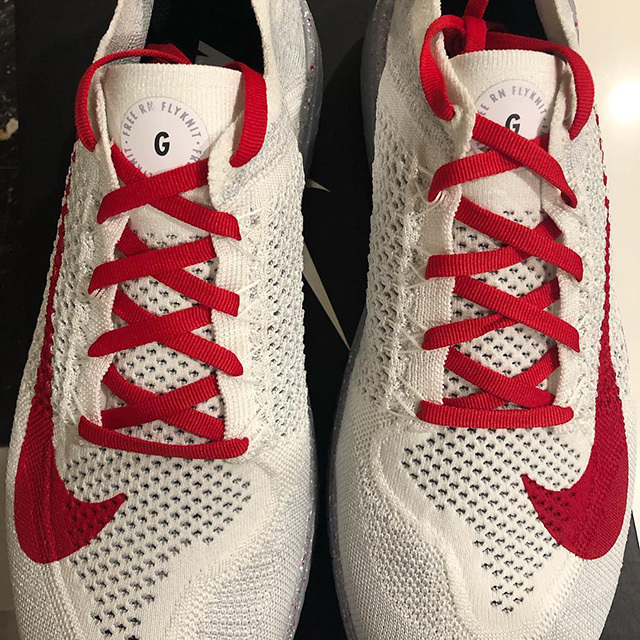 Google orders some custom Nike sneakers with G logo. Eric J. Duran, a Google software engineer, posted the photos on Instagram and wrote the following, "Thanks @google. My team got custom @nike #flyknit sneakers as our holiday gift. Hence the "G" but the colors were all me."